Focus On Hair does collect personal identification information from visitors in many ways, including, but not limited to, any interaction on our Site, email subscriptions to our newsletter, becoming a general or professional registered user, responses to a survey, entering a giveaway or promotion, filling out a form, or in connection with other activities, services, features or resources we make available on Focus On Hair. We will collect personal identification information from visitors, such as their name, address, email address, phone number or personal information pertaining to their hair, skin and or beauty habits and lifestyle only if they voluntarily submit such information to us. Visitors can always refuse to supply any personal identification information at any time, however it may prevent them from engaging in certain Site related activities. The majority of the Focus On Hair site is available to visitors without providing any personal information. Focus On Hair may collect non-personal identification information about visitors whenever they interact with our site. The non-personal information may include internet protocol addresses, browser types, Internet Service Providers, date and time stamps, referring and exiting pages, and number of clicks to analyze trends, track a user’s movement around the site, administer the site and gather demographic information. IP addresses, and other such information are not linked to any information that is personally identifiable. If you wish to disable cookies on our browser, please go through your individual browser options. Detailed information about cookie management with specific web browsers can be found on their respective websites. Improve our site and help us respond to your needs more efficiently. Personalize user experience. We may use collective information to understand how our visitors as a group use the services and resources provided on our Site. Share your information with third parties for marketing or other purposes. Run a promotion, contest, survey or other site feature. Send visitors information that they agreed to receive about topics we think will be of interest to them. Send emails to keep visitors up to date. We may use the email address to respond to visitor inquiries, questions, and/or other requests. 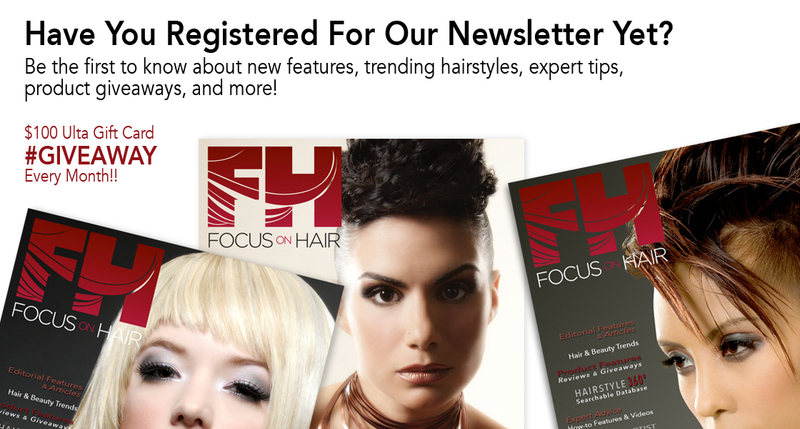 If a visitor decides to opt-in to our mailing list, they will receive emails that may include Focus On Hair news, updates, related product or service information, etc. If at any time the visitor would like to unsubscribe from receiving future emails, we include unsubscribe instructions at the bottom of each email. Visitors may also contact us via our Site. We adopt appropriate data collection, storage and processing practices and security measures to protect against unauthorized access, alteration, disclosure or destruction of your personal and transaction information and data stored on our site. Focus On Hair may use third party service providers to help us operate our business and the site or administer activities on our behalf, such as sending out newsletters or surveys. We may share your information as permitted with these third parties for those limited purposes. By using this site, you imply your acceptance of this policy. If you do not agree to this policy, please do not use the Focus On Hair site. Your continued use of the site following the posting of changes to our policy will considered to be your acceptance of those changes.